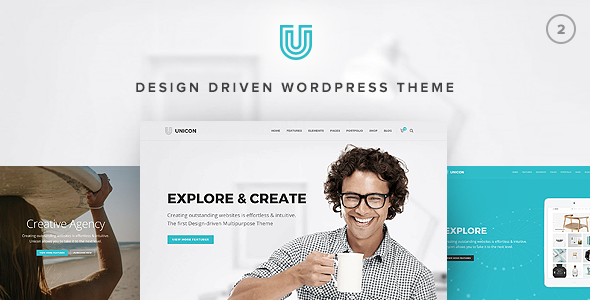 If you encounter any problems or have questions once you purchased Unicon, our Team will help you out and try to improve the theme according to your suggestions. And of course you can always comment here and we will reply. We want all of our customers to be fully satisfied with our theme & support. - Improved: Page Builder elements use less code now. - Added: New Header Version "Wide Header"
- Added: Responsive Tables - vertically scroll tables with your finger. - Added: Use .pagescroll class for smooth scrolling any link. - Added: Better compatibility for Bloglist element on dark backgrounds. - Fixed: Portfolio CPT Slug - Update your "Unicon Portfolio CPT" Plugin.